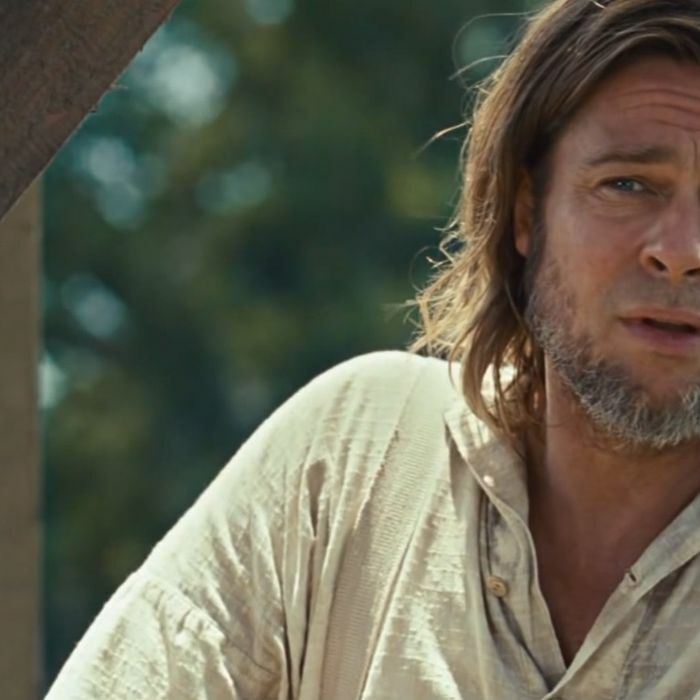 Why Did Brad Pitt Play the Only Nice White Character in 12 Years a Slave? Almost any time a white face appears onscreen in 12 Years a Slave, it’s like seeing Jason’s hockey mask in Friday the 13th; You know nothing good lies ahead. For almost the entirety of the film’s 135-minute running time, there are few respites from the parade of white men and women visiting pain and degradation upon the main character Solomon Northup (Chiwetel Ejiofor), a respected freeborn violinist who is tricked and sold into slavery: Benedict Cumberbatch’s “humane” Bible-espousing master, Paul Dano’s vicious overseer, Michael Fassbender’s alcoholic plantation owner and his vindictive wife, played by Sarah Paulson. Even Paul Giamatti — Paul Giamatti! — plays a slave trader who slaps Northup and later blithely separates a slave mother from her children. But what about the people who actually made the film? Did they find it odd that Brad Pitt gave himself the role of practically the only decent white man in the entire film? Why Is Brad Pitt the Only Nice Guy in 12 Years?